On July 4, 2018, brothers and sisters gathered at CLRC to learn the truths of the Lord. The students were equipped to be faithful followers of the Lord and at the same time to be steadfast witnesses and His servants. Praise the Lord! Pastor Xiao Yuan’s message enriched students’ understanding and nurtured their longing for the Lord. 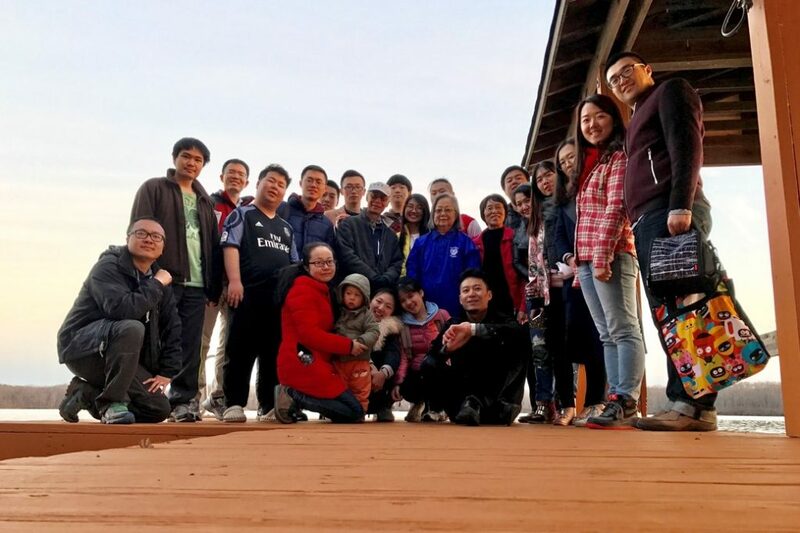 Pastor Jiang’s second visit to the camp helped students to see the work of the Lord at the present time and be prepared for their return to China to be Lord’s witnesses. Pastor Ko helped students to be God’s good stewards, to enjoy the richness of the Word, and to share God’s Word. All brothers and sisters are greatly moved and encouraged to be faithful followers and servants of the Lord. 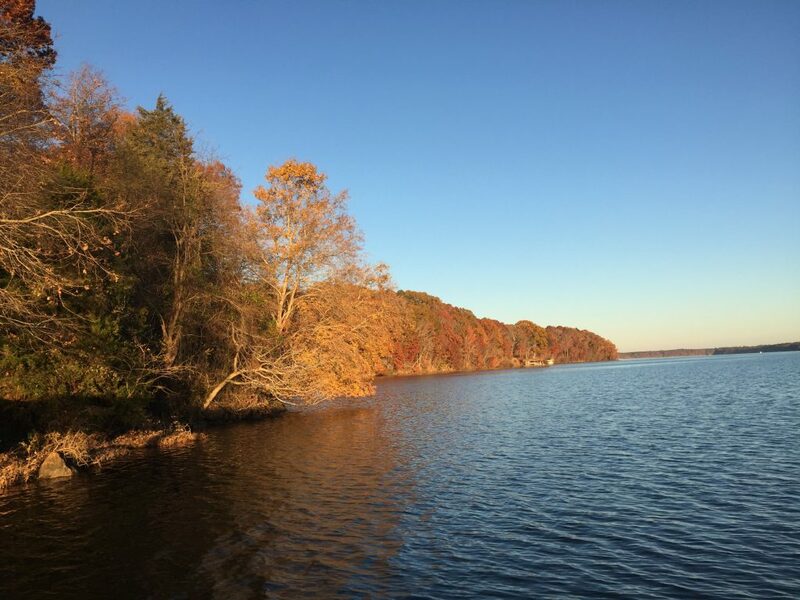 During this Thanksgiving holiday (11/15 -18, 2017), more than forty brothers and sisters gathered together near a lakeside at CLRC on Lake Gaston to start the first CWC Disciple and Coworker Training Camp on the East Coast. Praise the Lord! Christian Leadership Renewal Center allows us to use its camp facility. The tranquil and beautiful scenery by the lakeshore helps brothers and sisters concentrate on their studies and pursue the Lord with one heart! 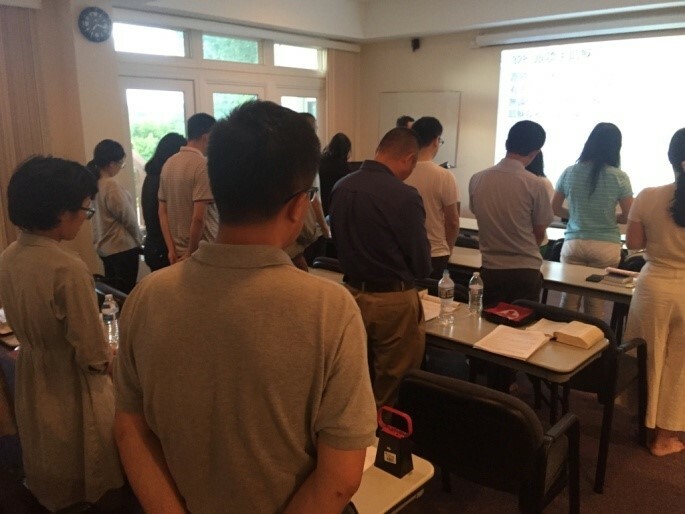 Though the East Coast Disciple Training Camp was held far from the Midwest, its teaching methods, camp rules and regulations, prayer training style, and the style of hymns, etc. are all consistent with those of the Midwest. Despite the strict requirements, brothers and sisters still determined to learn and joyfully pursue the Lord together! One of the main purposes of CLRC is to train and equip leaders to effectively lead the church according to God’s will and to enable them to grow spiritually. 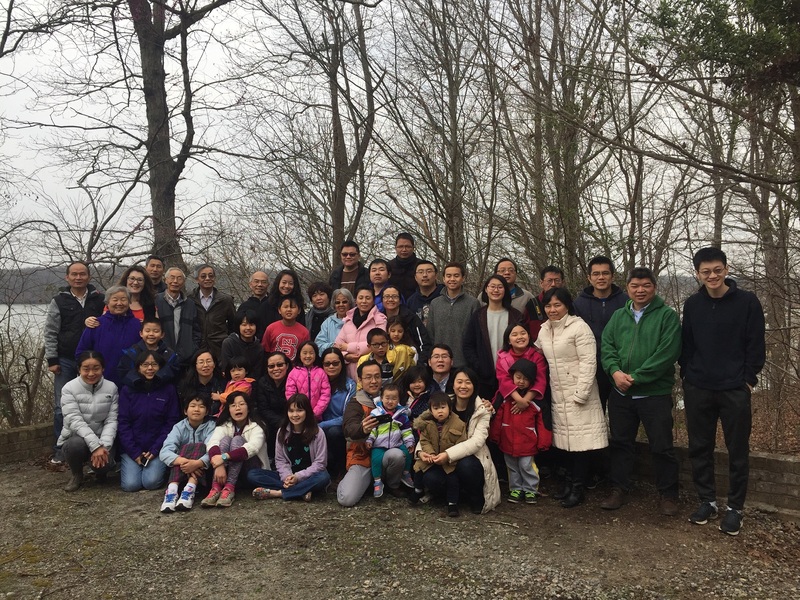 Based on these goals, it is significant that the elder board of the Chinese Bible Church of North Carolina chose CLRC facilities to hold its March 2017 retreat. 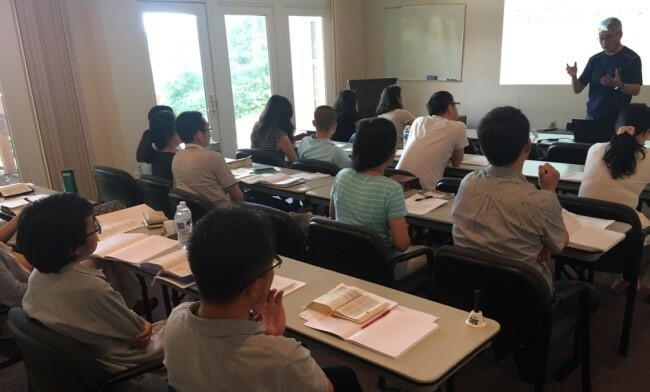 During the retreat, we deeply sensed God’s grace dripping down on us like precious oil to equip us in building up the Chinese Bible Church of North Carolina. Paul said, “According to the grace of God given to me, like a skilled master builder I laid a foundation” (I Cor 3:10). During the past years, God has helped the leaders to have a clear vision in building up the church, guided by the Holy Spirit, to focus our energy and resources on important issues, to repeatedly review our directions and to plan out priorities to build a solid spiritual foundation for the church. That has enabled a healthy and balanced growth of the church in guiding, pastoring, equipping and sending believers. Brothers and sisters have experienced life changes and through these changes, God’s love is manifested. The church has grown to become more mature in accordance with His will both quantitatively and qualitatively. After the closing of the Spirit-led retreat, we are faced with the challenge to proceed with tasks towards the goals with one heart and mind. Praise and thanksgiving be to our Lord and to the Holy Spirit for binding us together in serving Him! With these words, we also want to express our gratitude to CLRC in providing wonderful facilities for our retreat. 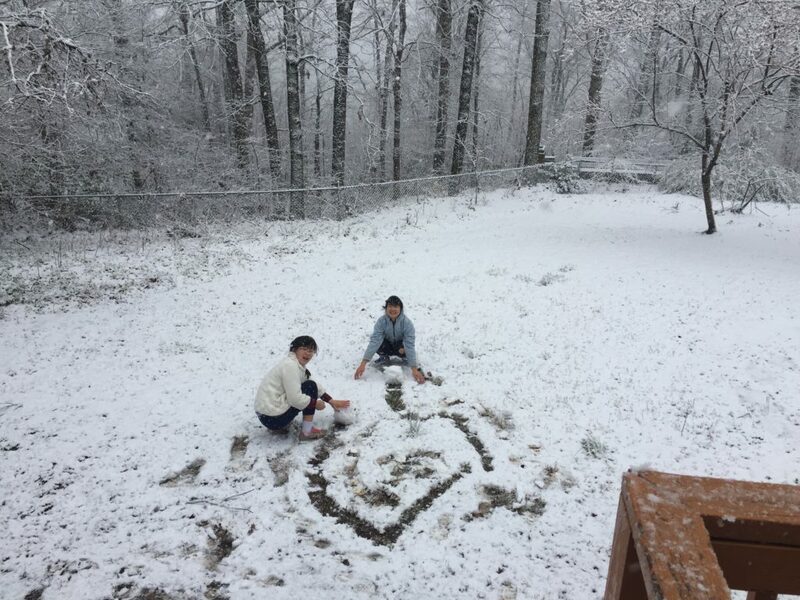 March 4-6 of this year, brothers and sisters participated in an especially rewarding retreat. The beautiful weather and the scenery at the lake were especially inspiring, reminding us God’s wondrous deeds; our whole-hearted worship and listening to messages from speakers allowed us to set ourselves aside and be close to God. Thanks are due to Alex, Jessie and all speakers and worship leaders. The theme of this retreat was on “How to change” focusing on how difficulties and challenges in the world influence our faith. The real world resembles the scorching heat. The so-called good or bad things are all possibly trials to us by God. We ought to fix our eyes on the cross, discerning God’s will in all things and walking in the path that would lead to sanctification. 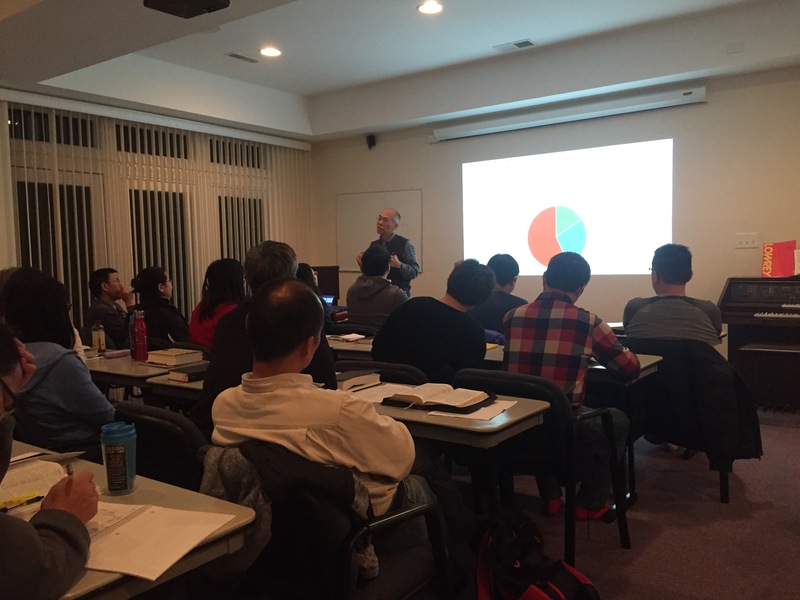 In addition, Elder Yeh shared with us on “the Basics of Spiritual Leadership”, focusing on the “qualities and marks of leadership in the Lord” (part 1). Jessie on the other hand shared on the topic of “love and marriage.” These topics made us realize the differences in leadership, love and marriage depicted in the Bible versus that by the world. Extracurricular activities were equally enjoyable. These included a tour to the neighboring magnificent special purpose garden, gazing stars in the night sky, watching sunrise in the morning, playing riddle games, etc. Nearly everyone participated in serving one another during the retreat. 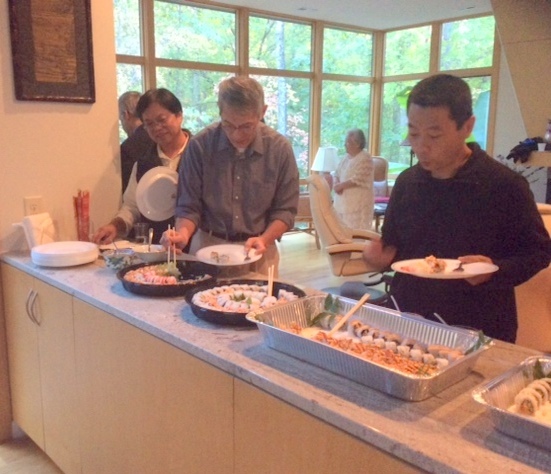 We want to especially thank Liu Kai, Tuo Yuan and Fan Jing for cooking delicious meals! Thanks are also due to those who did the cleaning. May God bless our loving hearts! Pictures of the retreat are shown below. 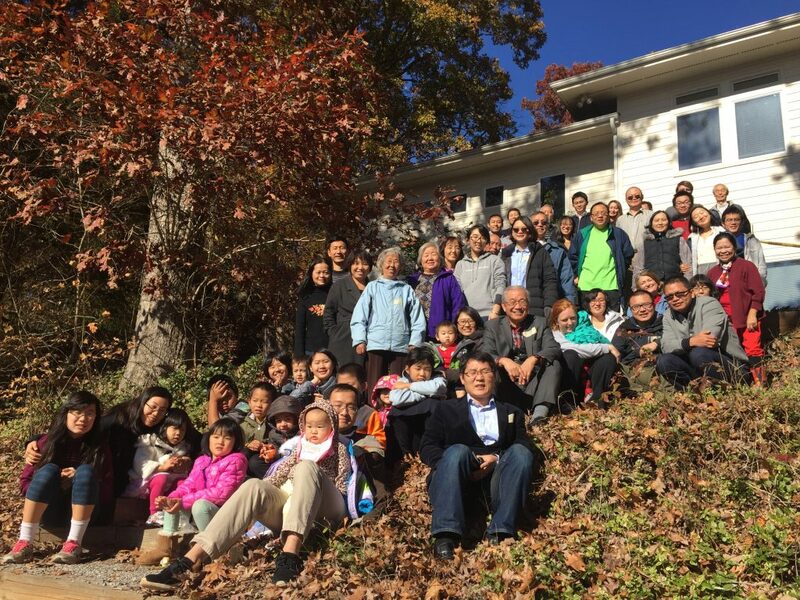 The thanksgiving service was held at the home of Elder Yeh in Wake Forest, NC, on the afternoon of November 5, 2016, to commemorate the 10th anniversary of CLRC and the recent completion of the new dormitory. 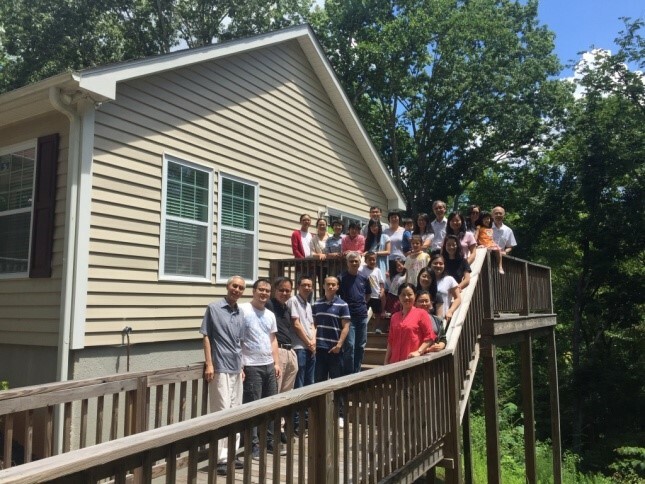 The guests included two board members from Chicago and Pittsburgh, pastors/elders and leaders from six Chinese churches in North Carolina, and CLRC’s volunteers. Together, we commemorated the blessings that God had bestowed on the Center during the last ten years. The program began with the hymn “Amazing Grace”. Through the reading of Psalm 127:1, we were reminded of the fact that whatever works we do would be in vain unless it is done in the will of God and by His grace. Furthermore, Php. 1:3-6 reminded us that we should be grateful to God because He has enabled pastors and coworkers to begin the good work by serving together in the ministry of leadership training and the gospel. We believe that He will also complete the good work. Elder Yeh then showed a new video, an introduction to CLRC (also available to view at the CLRC website, www.clrcrenewal.org, under “About us”). It highlighted the natural beauty of the Center’s surrounding environment, the various facilities and the activities held during the last ten years, including a brief self-introduction by Elder Yeh. 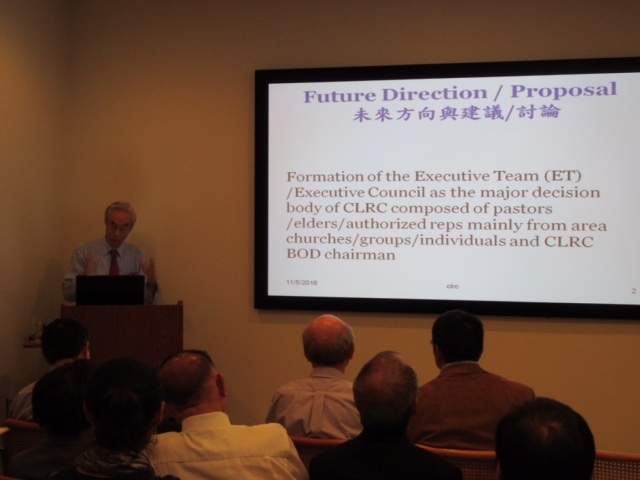 That was followed by his recounting how the vision for CLRC was conceived, the history of its building up from virtually nothing, its current ministries and Elder Yeh’s “dream” and long term vision for the future. (See below for the links to the power point presentation, anniversary presentation.ppt, and to its audio recording, anniversary audio.mp3). 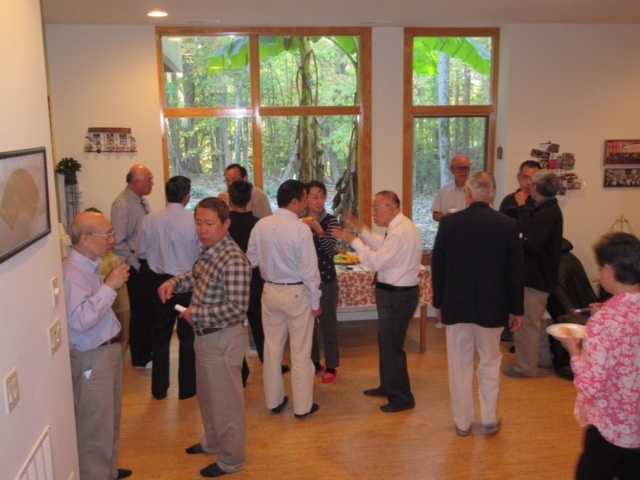 After a short break with drinks and snacks served, the service continued with Elder Yeh’s remarks to thank the board members for their support and guidance and the volunteers for contributing their time and effort. He then made a formal proposal on the future operation of the Center which will require the collective effort of local churches/leaders, and the reasons behind this proposal. He asked for feedback to this proposal from all the churches by December 10. (See below for the links to the power point presentation and its audio recording of the proposal, proposal for CLRC future.ppt and proposal audio.mp3.) The two board members in attendance then encouraged all churches to take advantage of this platform to fully cooperate with each other in continuing the work of leadership training in order to fulfill God’s will in furthering His Kingdom. The service was concluded with prayer and blessing led by board member Pastor Paul Bucknell. Following the service, drinks and delicious snacks were served so the guests can continue to greet and have fellowship with one another. More than ten brothers and sisters from Chapel Hill spent a wonderful weekend from October 22nd to 23rd, 2016, at CLRC. We studied the book of Ephesians together, shared each other’s understanding of the truths in the book, our personal lives, feeding spiritually and encouraging one another. As everyone is so busy in the daily life, it was such a blessing to come to a quiet and scenic place to fellowship with each other, build a deeper relationship, spur one another’s love towards God. We felt the need to hold more of this kind of gathering in the future. Many thanks to Elder Yeh and brother Henry for their support, providing such wonderful place for us. May God remember their love and labor in Him, and use CLRC to bless even more brothers and sisters. 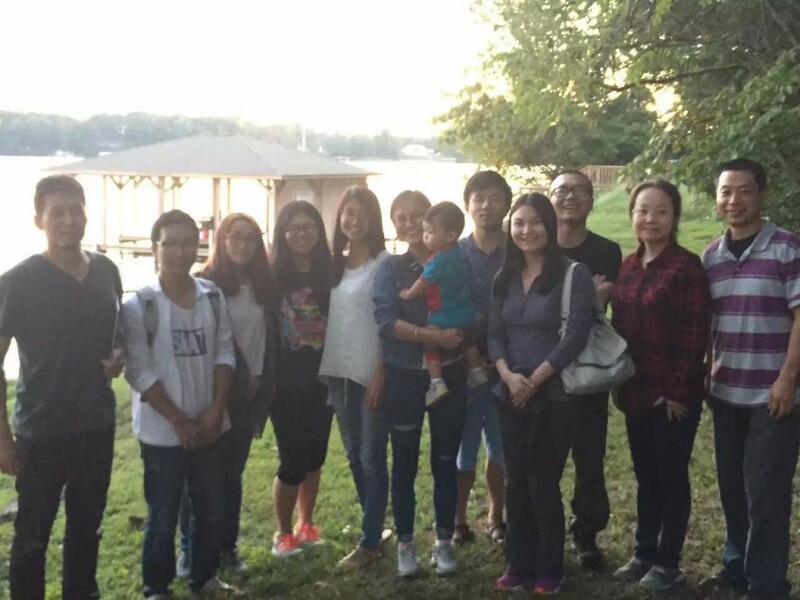 The Chinese Student Fellowship at RCCC had a great retreat at CLRC during the Labor weekend. We appreciate Elder Yeh’s support, love and care for our young group. 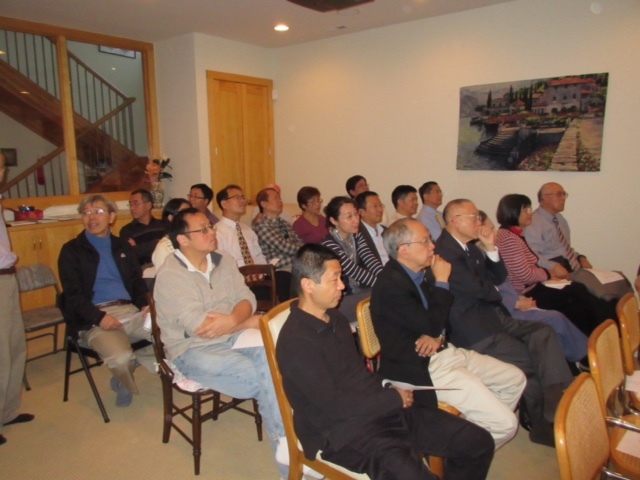 The topic of the retreat is Interpersonal Relationship, Bonding and Love. Through the messages of the speakers (Pastor Tran, Alex and Elder Yeh), we learned a lot of lessons about love and growing in the Lord. We also experienced the abundant grace of God through the various activities such as playing games, cooking, chatting and enjoying the beautiful sceneries. Not only did the young sisters and brothers gain a lot, but also did the seekers. Again, thanks a lot for the devotion and hard work of CLRC. May God continue to bless and use CLRC.